Test de Carver Skateboards met C7 of CX truck op de Scheveningse boulevard. Dan pas ik de prijs aan! Bekijk de filmpjes voor de juiste techniek. The signature truck that started it all. Still the smoothest turning, fastest pumping surf truck ever. The patented second axis of this front truck not only increases the turning radius of your carve, but lets you snap the nose and pivot your turns off the tail. This dynamic creates thrust and drives you forward with increasing speed. The striking similarity to surf feeling has made the C7 the choice for surf training. CX4. 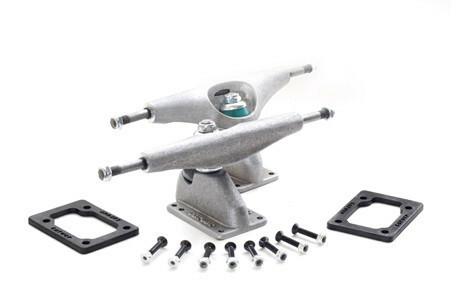 This is Carver’s hybrid surf and skate truck. On the one hand it’s a lightweight standard RKP (Reverse King Pin) hanger and base, on the other it has a patented geometry that squeezes every bit of turn and pump from the system. 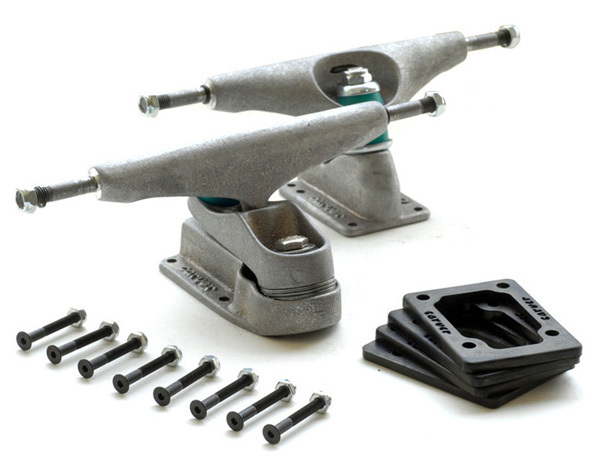 This means that you can pump this truck like a C7, but it lands airs and rides fakie with more stability as well.